Rhinoplasty: Reshape Your Nose? Risks, Cost, Recovery, etc. Are you unhappy with the current shape, size or appearance of your nose? If yes, you may be an ideal candidate for rhinoplasty. Rhinoplasty may be performed for aesthetic reasons or for reconstructive purposes following trauma or skin cancer. During rhinoplasty, the bone, cartilage, and other tissues in the nose are reshaped to create the desired appearance. If you are undergoing rhinoplasty surgery for cosmetic reasons, be sure to weigh your decision carefully; just because you’re unhappy with your natural nose doesn’t mean you would be happy with a new one. In addition to these cosmetic conditions, rhinoplasty may also be used to correct a deviated septum, which often contributes to sleep apnea. Rhinoplasty surgery is also used to repair damage caused by an injury, accident, or birth defect. Ideal patients must be at least 15 years old, because by this age the nose has reached its adult appearance. However, younger patients may undergo rhinoplasty surgery in the case of birth defects or structural damage. There is no upper age limit for rhinoplasty candidates, and it can be performed on both men and women of any ethnicity. One of the most important factors in the success of a rhinoplasty is the thickness of the skin covering the nose. In patients with thin skin, comparably minor corrections in the underlying bone or cartilage create significant visual changes. 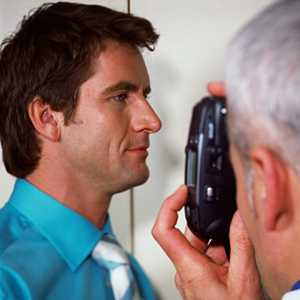 In patients with thicker skin, the same changes may have less noticeable results. Rhinoplasty procedures can include the removal of bone, cartilage, or the addition of synthetic tissues, to increase or decrease the size of various elements of the nose. The visual effects may be subtle or dramatic, depending on your needs and desires. The exact techniques used for your procedure depends on the current shape and size of your nose and the desired results; no two rhinoplasty procedures are exactly the same. Open Method: Involves removing the nose of the skin which allows the plastic surgeon to have full access to the underlying cartilage and tissue of the nose. Closed Method. Less invasive type of rhinoplasty that in involves making an incision on the inside the nose and working entirely beneath the skin of the nose with limited visual access. Non-Surgical: The term “non surgical” typically implies the use of an injectable or filler such as Botox to correct small imperfections. Nasal Implants: Involves the use of silicone implants to help alter the shape and size of nose. While rhinoplasty is performed in the same manner regardless of the patient’s ethnic background, the aesthetic goals of the patient may differ. Today, more and more people are seeking rhinoplasty that is tailored to their specific facial features. It is particularly popular among those of Asian and African descent. Many of these patients feel that the bridge of their nose is too flat, or that their nostrils are too wide. Some of these patients seek to ‘Westernize’ their facial features through surgery, while others simply want a more defined nose to bring balance to their face. There is always a risk that the results of your initial rhinoplasty procedure will not look exactly as expected. In this situation, your surgeon may recommend revision or secondary rhinoplasty. This term refers to a rhinoplasty procedure performed on any patient who has previously undergone one or more nose procedures. The intention is to improve upon or modify the results of a previous operation. It can be a way of fixing a “botched” rhinoplasty or one that simply produced less than satisfactory aesthetic results. Some common reasons why you might consider secondary rhinoplasty include, too much tissue was removed from the nostrils, the bridge of your nose was not narrowed enough, or the tip was upturned more than you wanted it to. Secondary rhinoplasty procedures are also recommended for those who have encountered complications such as difficulty breathing through the nose as a result of their first surgery. It is recommended that patients wait at least two years after the initial surgery to consider revision rhinoplasty. Although it may only take a couple of months for the nose to appear healed, it could actually take several years for the nasal tissue to settle into a more permanent position. Once the nose has settled, meet with a plastic surgeon to determine whether or not another procedure would be an appropriate option for you. Ask friends or family members for references. Do they know anybody who has had rhinoplasty? Who was their surgeon? Were they happy with the results? Check with the American Board of Medical Specialties to see if the doctor is board-certified in facial plastic surgery or plastic surgery. Check with your state’s medical board to see if there are any complaints or disciplinary actions against the doctor. Finally, don’t forget about personality and bedside manner. While the surgeon’s skills and artistry are very important, you want to have a doctor who is accessible and will patiently address all of your needs during the pre and postoperative period. This trait is oftentimes ignored by patients. Check to see if they are members of the American Academy of Facial Plastic and Reconstructive Surgery, American Society of Plastic Surgeons, American Society for Aesthetic Plastic Surgery or the American Board of Plastic Surgery. These organizations have stringent requirements for surgical training which will help ensure a safe and successful outcome. After conducting your research, create a list of about three different surgeons which you can then call to set up an initial consultation. Did you have any previous rhinoplasty surgeries? What type of allergies, if any do you have? What types of medications are you currently taking? What types of past medical conditions have you had? What is your experience in rhinoplasty? Are you board certified in facial plastic surgery or plastic surgery? Are you an active member of any of the following organizations; American Board of Facial Plastic and Reconstruction Surgery, American Society of Plastic Surgery, American Society for Aesthetic Plastic Surgery? What rhinoplasty technique would you use to get my desired result? Open or Closed? What type of results can I expect? Are they realistic and achievable on the first surgery? Can I see your book of rhinoplasty patients’ before and after photos? Where will the surgery be performed? Is it an accredited facility? What will I need to do to get ready for surgery? What types of potential risks are there with rhinoplasty? What types of potential complications could happen – and how will these be handled? What types of scars will there be? How much will it cost? And what exactly does that include? If the results don’t end up being what I expect, what are my options? Stop smoking at least a month before your surgery date. Stop any medications, vitamins, minerals, herbs, nutritional supplements, or over-the-counter medications that can potentially cause problems with clotting or bleeding during the operation or afterwards. Carefully read and understand all preoperative instructions and postoperative instructions. Because rhinoplasty is an outpatient procedure, you’ll need to make arrangements for a friend or family member to drive you to and from the surgical facility and the first few nights afterward. The actual procedure will take up to about three hours. Most patients will have a splint on their nose or gauze within the nose to help prevent any traumas to the nose. The general anesthesia will prevent pain during the procedure and shortly thereafter. There are many factors that affect your recovery time after rhinoplasty. For example, if you have had an extensive reconstruction or additional cosmetic procedures done at the same time, your recovery time will be longer than someone who has had minimal work done. Another major factor in recovery is the aftercare you do for yourself. If you take care of yourself well and follow all the doctor’s instructions, your recovery should be faster. In most cases, rhinoplasty is an outpatient procedure which means you are allowed to go home the same day. However, you won’t be able to drive yourself home; thus, you need to arrange a ride from someone prior to the surgery. After surgery, the general anesthesia will wear off. You will most likely feel groggy and tired. Some patients feel nauseous. There will be soreness, pain, and discomfort, which are often reduced with pain medications. It’s common to have a stuffy nose as well, and you’ll have to mouth breathe temporarily until this passes. Sometimes surgeons will pack surgical gauze inside the nose to reduce swelling and bruising, and this can feel uncomfortable. Your surgeon will decide to use sutures that either must be removed or are dissolvable. If they do not dissolve on their own, you will need to see your doctor for a follow-up appointment about a week after the initial procedure. Antibiotics are prescribed during your recovery period to prevent infection. It will be important to take them on the required schedule. Most surgical procedures result in temporary bruising, and rhinoplasty is no different. With this procedure, the bruises may give you the appearance of having a black eye – or two of them. The bruising will not last forever! Give it about 10 days to disappear. However, if you’re a smoker, the bruising could last up to 3 full weeks. Other symptoms oftentimes experienced during the recovery period include peeling skin, numbness or bleeding. You can still wear contacts after your surgery but cosmetics should be avoided for about two weeks. If you wear glasses, avoid them for about six weeks. This includes sunglasses. It’s the swelling that results after rhinoplasty that takes the longest to resolve on its own. It may take up to six months to resolve completely. Thus, you won’t know your final results until the swelling resolves. Stay hydrated. When you drink plenty of water, your body can do a better job adjusting water balance in the body. This affects swelling after your rhinoplasty. How much should you drink? Aim for one and a half ounces of water consumed per pound of body weight. By hydrating before surgery (preferably two weeks before the surgery), you can also help improve your results. Eat a healthy diet, and make sure that your sodium level is not too high. Salty foods are your big enemies when you are recovering from surgery. This means you should avoid foods such as canned foods, salty chips, salty nuts, most canned soups, most processed foods, cold cuts, and anchovies. Rest as much as you can. Now is a good chance as ever to catch up on your rest. On the other hand, this doesn’t mean that you should stay planted in your bed all day long. You should get up and walk around as much as possible so your circulation will be good and take care of any blood clots that are forming, breaking them down. Ask your doctor if it’s possible to use cold compresses or ice. This will reduce swelling and reduce pain. Protect your nose from bumping it as it heals. When you sleep, keep your head and shoulders elevated. The best way to do this is to use two pillows as you sleep. This way you won’t be pushing your nose into the pillow without knowing it as you sleep. Your surgeon will also place a splint or tape over your nose. The purpose of this is to hold your new nose tissues in place as well as relieve swelling. Leave this on for the required amount of time. An infection may develop, which can spread to other parts of the body or cause scarring. Breathing is difficult through the new nose. Nose numbness that is temporary or permanent. Recovering from rhinoplasty takes about two to three weeks. Most patients return to work after one week. During the first one to two months, it’s important to avoid activities, including sports that may cause trauma to the nose. This includes baseball, soccer, basketball, weight lifting, and other similar sports. A trauma to your nose during the recovery time can end up causing your new nose to deviate from its proper location. On average, the surgeon’s fee for rhinoplasty is around $3,500. This amount does not include the facility or anesthesia fees, or additional expenses that may be required for patients undergoing rhinoplasty. The anesthesia costs are usually between $600 and $1,000, and the facility fee between $700 and $1,100. The total cost of rhinoplasty usually averages between $5,000 and $10,000. There are other pricing factors to consider as well such as the extent of your procedure, where you live, and the plastic surgeon you choose. For example, slight surgical reshaping of the nose requires less surgical time (and therefore has a lower price tag) than a complete change in shape. In general, a longer or more complicated procedure will be more expensive. This is especially true if your situation requires an overnight stay, although most rhinoplasty procedures are performed as outpatient procedures. Revision rhinoplasty (performed on patients who have had a nose surgery in the past) tends to be more complicated, and therefore costlier, than an initial procedure. Where you live will also impact the price of your surgery. The cost of rhinoplasty varies from city to city, and between large metropolitan areas and less populated regions. Even within the same area, two different facilities may charge different amounts for their services. Finally, your surgeon’s skill and training can affect the cost. A highly qualified surgeon with many years of experience is able to command a higher fee than less experienced surgeons. This additional expense is well worth it, as they can ensure that the most appropriate techniques are used to achieve your desired results. Never choose a surgeon based on cost alone, or you may be disappointed with the results of your surgery. If cost is an issue for your rhinoplasty procedure, most surgeons have financing plans available that may include flexible monthly plans. Ask your surgeon what is available. Q: I’m of African American ethnicity and my nose is very wide. Can rhinoplasty work for me? A: Yes. Rhinoplasty is about results from reshaping the nose and the techniques used work no matter what your ethnicity is. Q: What affects the results with rhinoplasty? A: The thickness of the skin covering the nose makes the biggest difference. If the skin is thick, you’ll notice results more than if the skin is thicker. Q: I’m afraid that my surgeon won’t understand what type of results I want. What should I do? A: You can search for photos from magazines, tear them out and bring them in with you. This will leave out a lot of guesswork. Q: Why would I have to potentially have a second surgery? A: Your nose swells during the surgery, giving your doctor a false view of the work that is being accomplished. About 15% of rhinoplasty surgeries need a second surgery. Q: How long do I have to wear the splint after surgery? Q: Is rhinoplasty covered by insurance? A: For most cases, rhinoplasty is considered a cosmetic procedure which means the costs must be paid out of pocket by the patient. Insurance will only cover rhinoplasty for those who have structural defects (and breathing problems), birth defects, or damages due to a trauma.